My memoir, Pressing My Luck, is now available in paperback format, in addition to Kindle version. It can be purchased at Amazon (click here). Clicking on the image also will also redirect you to Amazon. 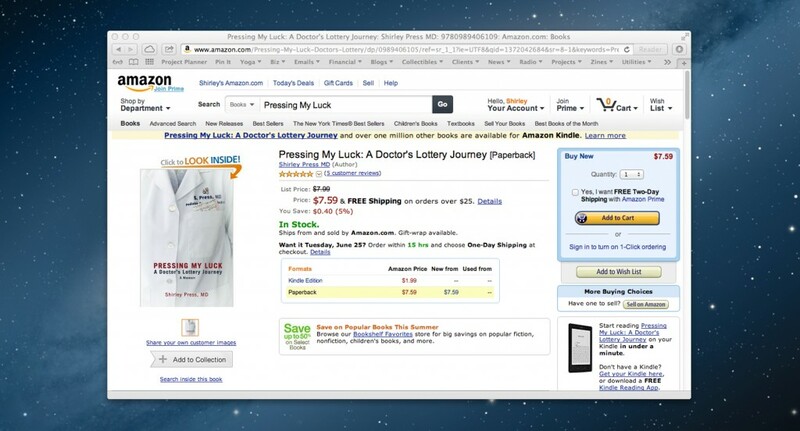 The ePub version of Pressing My Luck will be available next week at iTunes and Barnes & Noble.